Following many negative comments regarding rail companies making unfair profits Stagecoach have issued the following statement on their website. Rail fare rises are one of the most emotive transport issues for passengers and customers rightly want to feel they get value for money. The spotlight in the media regularly falls on train companies as campaigners call for “fairer fares”. In January 2015, the overall average increase in rail fares in the UK will be 2.2%, the lowest for five years. Here we look at the facts and the real story behind the headlines. Rail fare rises are determined largely by government policy and funding for the rail network can come from only two sources - the taxpayer or the passenger. Money from fares goes towards running and maintaining the railway, which benefits every household in the country by improving journeys, creating jobs and helping to boost the economy. There are two types of fares, those regulated by government and those unregulated and decided by the industry. Regulated fares account for around half of the fares available and include season tickets. Between 2004 and 2013, successive governments decided that regulated fares should rise by on average 1% above RPI inflation so that passengers paid a bigger portion of the cost of running the railway and taxpayers a smaller share. The government decided that regulated fares in 2014 and 2015 would rise in line with RPI inflation. It uses the July inflation rate as the benchmark for these rises, which was 2.5% for the 2015 fares changes. The government's decision was welcomed by the Rail Delivery Group - the organisation that brings together passenger train companies, freight operators and Network Rail - as good news for commuters. For unregulated fares, train companies set prices to make sure they are competitive with other types of transport customers can choose for these journeys, such as car, coach, or plane. Overall, some fares may go up, many will stay the same and some will reduce in price. But even unregulated fares are heavily influenced by government policy. Train companies have to meet tough financial commitments agreed with the government when franchise agreements are signed. For a number of years, these payments have been shaped by the government policy to reduce the share taxpayers pay towards the cost of running the railways. It is also often overlooked that RPI inflation also determines some of the biggest costs facing train companies, such as charges levied by Network Rail for accessing the track, payments for leasing trains, and energy bills. Even the substantial payments many train companies make to the Government are directly influenced by the rate of RPI inflation. This puts further upward pressure on all fares, not just those set directly by the government. The vast majority of revenue from fares pays for services and sustains investment in more trains, better stations and faster journeys. On average, 97% of a passenger’s fare goes back into the railway. The table below shows how every £1 of passenger income is spent. Over many years, the average operating margin of train operators in the UK – that is profit as a percentage of the revenue it collects – has remained fairly constant at around 3p to 4p in every £1 of the cost of a rail ticket. Unions, politicians and others often make unfounded claims about train companies “profiteering”, but the facts show otherwise. At the same time as passenger fares have increased over the past few years, train company profits have actually been falling. While some fares have increased over the last 15 years, others such as Advance fares have come down in real terms. As a result, the average price paid for a single journey in 2013-14 was £5.17, compared to £5.14 in the mid-1990s. For fares that are ‘unregulated’, operators have greater freedom to set prices. Discounting by train companies has contributed to the number of train journeys doubling since the mid-1990s. In 2012-13, 47% of passenger revenue came from discounted tickets, up from 36% in 2002-03. Britain has the fastest growing major railway in Europe with growth outstripping that in countries such as France, Germany and the Netherlands. Passenger numbers grew 62% in the UK between 1997-98 and 2010-11, 33% in France, 16% in Germany and 6% in the Netherlands. was an increase of 5.7% on the 1.50 billion passenger journeys recorded in 2012-13. * This success in attracting more people to our rail network helps fund a better railway for the country. Research published by Passenger Focus shows that while Britain had relatively high fares for some types of journeys compared to other countries in Europe, it also found that in the UK we have some of the lowest ticket prices for long distance journeys with operators now selling more and more cheap tickets. 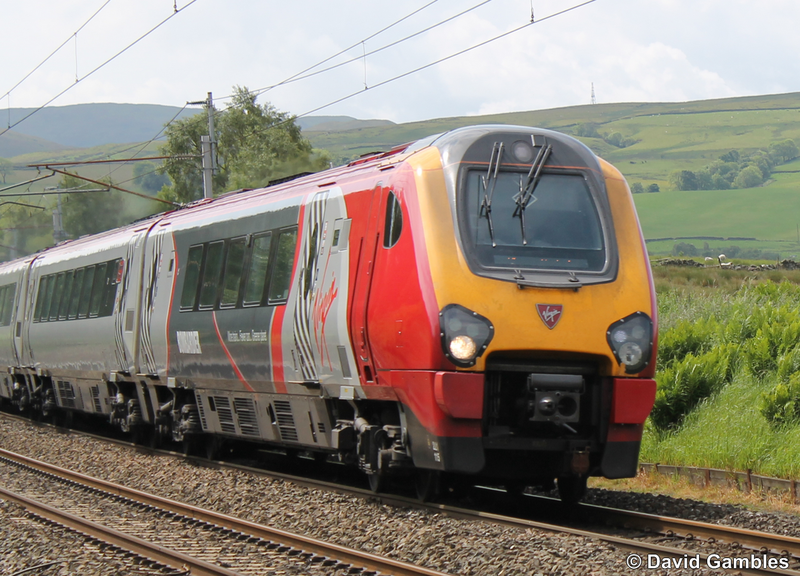 In January 2013, the independent House of Commons Transport Committee said in its Rail 2020 report that the rail industry’s profits are “relatively small” and detailed that they had fallen from a total of £188m in 2009 to £91m in 2011. To put those numbers in context, this profit is equal to less than 1% of the cost of running the UK rail network. Stagecoach Group's latest half-year results, published in December 2014, show that its rail division had a reported profit margin of 2.2%. This is far less than businesses in many other sectors, from high street retailers and banks to energy companies and even media companies that report on the news. One major UK media group, which publishes national daily newspapers and produces the world’s biggest newspaper website, reported an operating margin of 17% in November 2014. Nevertheless, Stagecoach appreciates that nobody likes paying more for their travel, especially to get to work, and we have kept rises at our rail franchises as low as possible. At South West Trains, one of Europe’s busiest commuter rail networks, 2015 fares are rising prices by an average of 2.3%. This means the cost of a single journey is up by an average of 9.5pence. East Midlands Trains fares are increasing by an average of 1.3%, with the cost of a single journey rising by an average of 17pence, again the lowest increase for five years. A report by the Office of Rail Regulation (ORR) in November 2012 compared the unit costs for each of the UK’s 19 franchised train operating companies for the first time using various measures. It found that East Midlands Trains and South West Trains were two of four operators whose unit costs were consistently either on the average or lower than the average for the industry. We are committed to becoming more efficient in our day-to-day running of the railway. Network Rail has agreed to reduce running costs by 20% over the next five years. The industry as a whole will help reach that target by changing the way it plans and carries out maintenance and improvement work. For the 10 years to 2014, Network Rail (responsible for maintaining and improving railway tracks and major stations) delivered a reduction in the cost of running the railway of almost 40% (or £5.2bn). For the five years to 2019 (CP5) it has committed to deliver a further 20% (or £3.3bn). Large public transport operators such as Stagecoach make a valuable contribution to the economy and the UK taxpayer makes money out of the success of our rail franchises. The railway and its supply chain return £3.9bn in tax to the Exchequer a year, offsetting nearly all of the £4bn that rail receives in government funding. Between 1997-98 and 2012-13, the money paid by operators to Government to reinvest in more and better services has increased 400%, from £390m to £1.96bn. In 2013-14, Stagecoach's South West Trains, East Midlands Trains and Virgin West Coast franchises made a collective net contribution to UK taxpayers of £392.6m. Britain’s railway before privatisation was shrinking in size (when measured by passenger kilometres). At the same time, the subsidy the old British Rail network required was increasing. Government funding per journey is now £2.35, 29% lower than in the first full year of privatisation, and the same or lower than in nine of the last 12 years leading up to privatisation. Stagecoach has been leading the way in offering good value travel for many years. It launched the pioneering budget rail website, megatrain.com, which now offers fares from £1 (plus 50p booking fee) to dozens of locations across the UK. Passengers can use tools such as the East Midlands Trains Best Fare Finder to get the best deals and megabusplus.com also provides low-cost integrated coach and rail travel. At the same time, we are investing in our trains and stations to deliver a better railway for our customers. 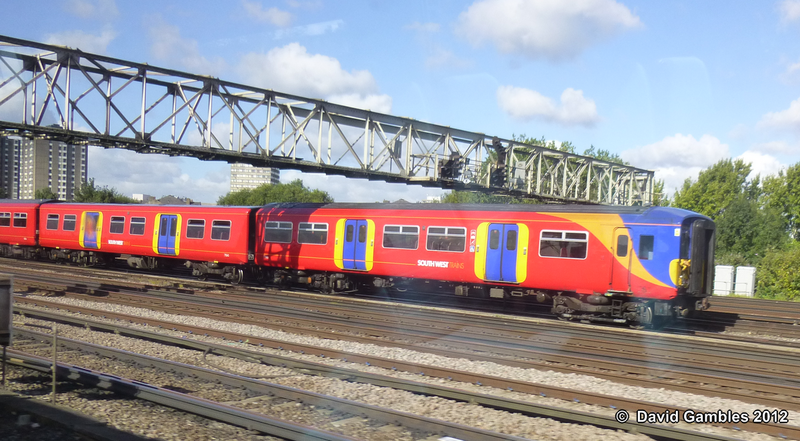 South West Trains is progressing a £210m investment in a fleet of new trains. The 30 new five-carriage trains will boost capacity on services, providing for more than 18,000 extra peak-time passengers every day travelling into London Waterloo, the country’s busiest station. The first of the 150 new carriages will begin arriving in 2017 and all will be in service by early 2018. South West Trains and East Midlands Trains have plans to spend £6million and £9.5million respectively on station improvements in 2015. Millions of pounds hasalso been spent on WiFi on board trains and plans are in place for further improvements in 2015. Over the next five years, Network Rail is spending on average £27m a day on a better railway, alongside commitments made by train companies to improve services. That will mean more seats, better stations and improved journeys.